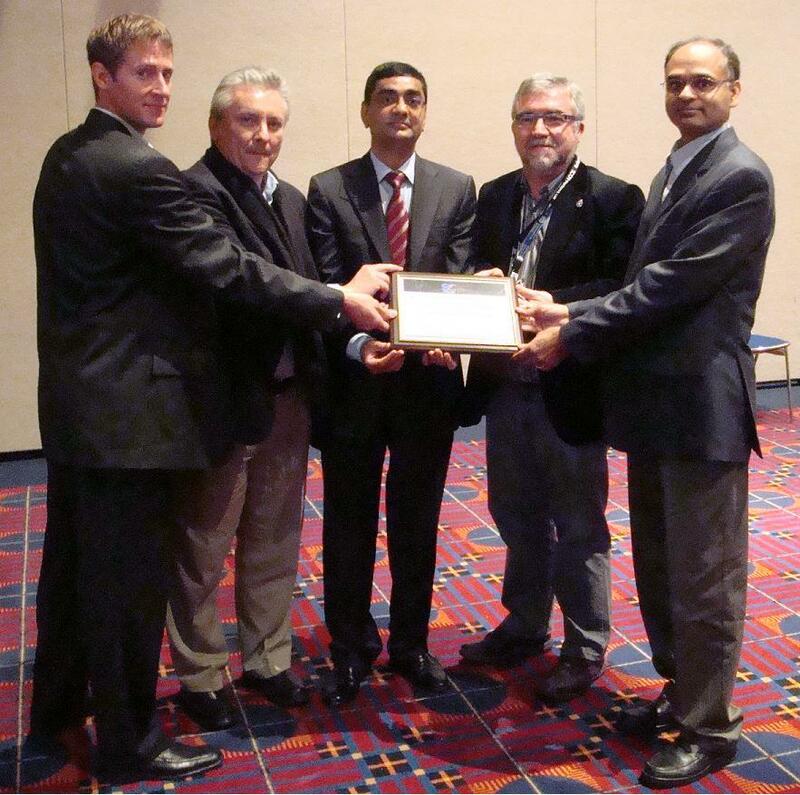 Today, at the Supercomputing 2009 conference in Portland, Oregon, our paper “The Cat is Out of the Bag” was awarded the ACM Gordon Bell Prize. The ACM Gordon Bell Prize has been awarded since 1987 to recognize outstanding achievement in high-performance computing. It is now administered by the Association for Computing Machinery (ACM), with financial support for the stipend provided by Gordon Bell, a pioneer in high-performance and parallel computing. The purpose of the prize is to track the progress of leading-edge technical computing, namely simulation, modeling and large-scale data analysis as applied to science, engineering or other fields. In addition to the main ACM Gordon Bell Prize, the Bell Prize Committee may, at its discretion, grant a special award to recognize an achievement in a related area such as price/performance, usage of innovative techniques or non-traditional types of computation. Inspiring brains creating brain-inspired computing!